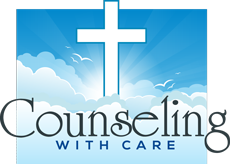 Counseling with Care services provides Counseling for Individuals, Couples and Families. My name is Jenn Snider, Licensed Professional Counselor and Clinical Supervisor. I offer In-Person, Facetime and telephone counseling services. In addition, I provide training for Licensed Associate Counselors seeking to obtain their clinical training hours in becoming a Licensed Professional Counselor. I am an educated professional but being human have encountered some of the same problems that many clients have had. I can identify with what someone has “been through” and what they may be experiencing, which is why I am able to show empathy and compassion for others. I provide support with genuine caring, deep commitment, and complete confidentiality. My hope is to guide you in reclaiming feelings of self-worth, restoring relationships, and renewing thoughts, goals, and dreams. We will work on these goals together, with the understanding that the final decisions of increased potential are the result of your own problem solving abilities as you become more acquainted with your own temperament, spirit, strengths, beliefs, and desires.